We recently had a major overhaul of our pricing and landing page and wanted to get a good idea of what a high-converting pricing page looked like. We turned to the experts. There are a lot of best practices for SaaS pricing pages out there, with giants like HubSpot, ConversionXL and SixteenVentures being the authorities. I thought the best way would be to look at the pricing pages of the SaaS 250 — a list compiled by Montclare of the most successful SaaS products in the world. Before we start — why did 80 percent of companies not have pricing pages? Before jumping right in, it’s interesting to note that of these 250 companies, only 48 had pricing available. The rest had pricing available on request by contacting the sales people. Jason Lemkin, CEO and Co-Founder of EchoSign, says that most companies have a very good reason for this. Writing on Quora, he outlined five key reasons you might be better off not showing pricing on your website. Deals will get more complex as you grow. Some day you’ll do a deal so large and complicated it wouldn’t have been able to be expressed in $/user/month. Products with integrations and add-ons will be priced so confusingly, it’s simpler to just get them on the phone to sales. A $700k deal is sold differently to a $100k deal. When it means the difference between an everyday deal and a huge account, you’re going to treat the customers differently. Pushing both down the same track is risky because you want to make sure that the big customers are on the phone to sales straight away. Enterprise customers just want to buy. Jason says that price doesn’t matter for enterprises. More than 80 percent of the time, they just want to get set up with a solution as efficiently as possible. Price comes after features. So, 202 of the SaaS 250 have good reasons for not being transparent with their pricing. 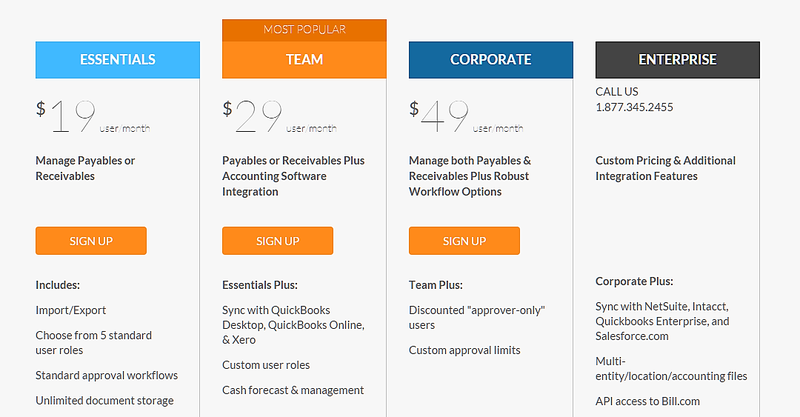 Let’s look at what I found when analyzing the SaaS pricing pages of the remaining 48. My results show that the number of packages ranged from one (New Relic‘s Mobile product) to 10 (GitHub), with the most popular choice being four different packages to choose from. Because customers are paralyzed by choice. HubSpot’s fantastic article about decision fatigue included a study which showed customers who were presented with six options instead of 24 were 10 times more likely to buy. The same logic applies for feature lists longer than Infinite Jest — if someone has to read a 50-row spreadsheet before they can figure out the difference between plans, they’ll become confused, tired and rethink their decision to buy. That’s why you should cut the options down as much as possible, as well as only listing features that are relevant and the benefit of which is easily conveyed to the potential buyer. ConversionXL’s article 10 Principles of Effective Pricing Pages notes that the best pricing pages highlight one particular package as the best option. Why? Well, there are a few reasons, some more sneaky than others. By highlighting the most profitable plan, you would generate more revenue. By highlighting your most expensive plan, it acts as an anchor — a standard all visitors will set their expectations by. When they see two to three other plans much cheaper than the first one they saw, visitors will believe them to be cheap in comparison, and more likely to convert. “Sneaking” your most profitable plan in the middle of your pricing page means that more visitors will click on it because people generally prefer something in the middle. You’d think that the biggest SaaS companies in the world wouldn’t have to be reminded to ‘sell with benefits, support with features‘. It’s the most basic rule of copywriting. Very few people care about your multi-band high-gauge ultra-optimized whatever-it-is, but they will care that it can make them more money or make their lives easier. Side note: ‘Essential’ is a reasonably popular name for low-priced packages, but not nearly as popular as it should be. It describes the product well (the bare essentials) but also hints the product is a must-have. The eye scans left to right just as we expect prices to escalate from left to right. When prices are unevenly displayed, it can throw us off balance a little. Is that a bad thing? Lincoln Murphy from SixteenVentures thinks not. A left to right, high to low approach seems to provide a statistically significant lift every time. This works in the same way as highlighting your most expensive package — it provides a price anchor for customers to use as a reference point and determine how ‘expensive’ or ‘cheap’ your other packages are. When selling someone a product, it’s been proven that starting with a more expensive product then working your way down to a cheaper one makes the customer more likely to buy a higher priced product because it skews their perspective of how much something ‘should’ cost. Lincoln would argue that Bill.com, and 81 percent of the analyzed companies, are doing it all wrong by displaying their prices low to high. As Jason Lemkin has pointed out, the more expensive a product is, the more complicated the sales and discounting process is. Instead of listing a large fixed price for enterprise customers, SaaS products should opt for a ‘contact us’ or risk blowing big deals. $400/user/month plus $200 for 10,000 contacts then $150 for 10,000 after that, and an optional full setup fee of $4500 (depending on the amount of contacts, users and how much sleep your sales rep will get). This is a weird one. More than a quarter of the companies analyzed used ‘Buy Now’ as their main call to action (CTA). It’s weird because split-test veteran and ConversionXL founder Peep Laja says “I yet have to see a test where ‘buy now’ performed better than the alternatives (‘add to cart’, ‘get started’, ‘choose plan’ etc)”. Are these companies just too big to care? The famous red button test by HubSpot saw the company improve conversions on Performable’s pricing page by 21 percent. How? By changing the CTA button color to a contrasting one. Performable’s main color was green, so having a green button wasn’t standing out as well as it should. As the only eye-catching color on the page, the red CTA made a big difference. While a free trial is an extremely important part of a product’s funnel, only 63 percent of companies analyzed offer it. 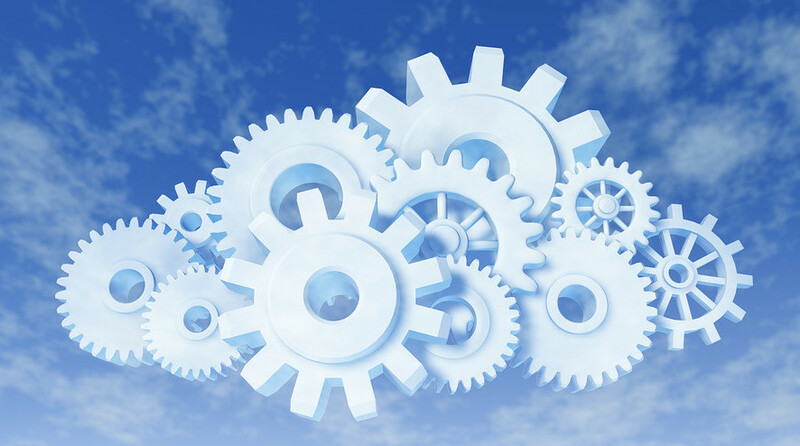 According to Pierre Lechelle, SaaS free trials are often misunderstood by their providers who don’t understand how giving away something for free boost revenue. In the case of the SaaS 250, however, it’s understandable. For products which cost more per month than an average salary, it makes more sense to treat the customer to a little concierge onboarding by offering a demo and a sales rep willing to talk endlessly about the benefits and get the customer set up properly. no further than the trial. Sliding scales allow customers to be ultra-specific with their needs and pay for only exactly what they’re going to use. Plus, according to Peep Laja, giving users something to play around with will keep them sticking around for longer and subconsciously soaking in the details and pricing of your product. Atlassian’s BitBucket uses a slider as a way to simplify their pricing to the extreme, and as another way of saying $1/user/month or $200/month for unlimited users. PriceIntelligently suggests you create one package for each persona you’re selling to. It’s no use targeting a persona if they don’t realize they’re being targeted and can’t work out which package would be best for them. That’s why companies like Huddle name their packages based on the kinds of businesses they’d be good fits for. Here’s an example from Huddle, who (unlike companies who offer ‘Lite’, ‘Pro’ and ‘Pro+’) are pretty specific about personas. Why do so many companies not want to reassure their customers? One is that it quells your buyer’s fears of ‘what if this won’t work for me’. The other is that it conveys the message that they might need to cancel (or that your company is used to being cancelled on so has a system in place when it happens). Abscense of money back guarantees amongst the SaaS 250 could be because plenty of the products offered lock you in for a year (one I saw even did it for FIVE), or already offer 30 days free trials in place of a 30 day money-back-period. I’d be willing to bet that it’s mostly a case of not wanting or needing to provide such an offer. 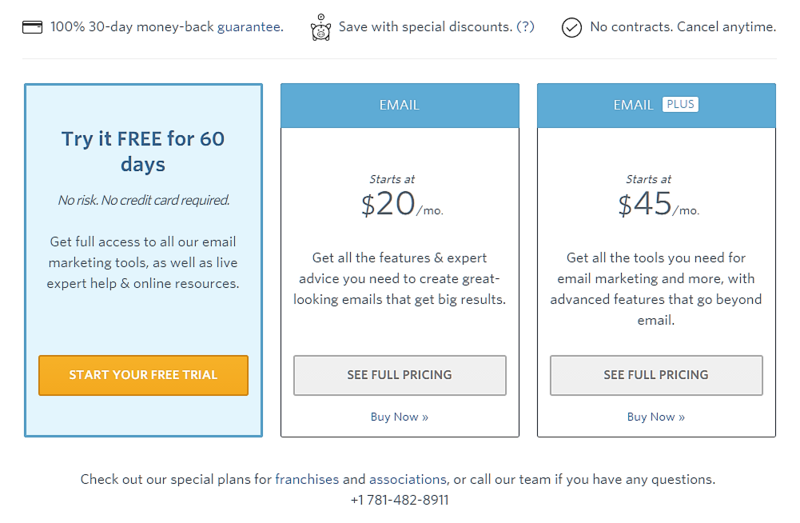 What can this teach us about SaaS pricing pages? This shouldn’t teach you not to offer pricing on a sliding scale because only 4 percent of the most successful SaaS companies does it. It also doesn’t mean you need to cut your price packages down to four (or three and a half) because that’s a secret number that makes people buy even if they aren’t interested. What this really means is that there are a lot of different standards. Even the most successful SaaS companies in the world don’t conform to the ‘best practices’ laid out by conversion specialists. That’s because they each have different audiences. Maybe your customers are longing for a massively detailed feature list, or CTA copy which reads ‘Buy Now’.